Speaking to reporters in an impromptu session this afternoon behind the livestock auction pavilion at the Illinois State Fair, President Obama said he plans to unveil the new committee as an adjunct to the super committee. “All of our efforts to stimulate job creation and trim spending will be focused through this new extra super committee or, as I have termed it, the “Ginormous Committee’. 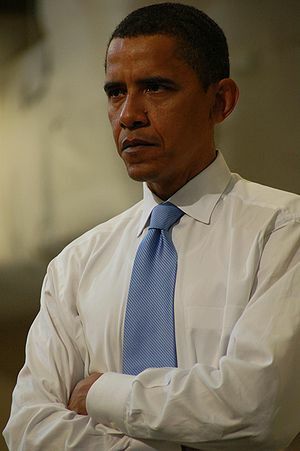 We’re really getting most serious about this.” Obama said, offering his ‘most serious’ face (see photo). In a slightly more grammatically correct statement issued later in the day, Ms. Pelosi said she hoped the committee would continue to work towards a “grand bargain,” which she has relabelled a “ginormous bargain’ echoing the President’s new moniker. Dreadmonger will continue to update this story as it develops.